Apayne628's Blog | My first ever blog! Posted by apayne628 on June 3, 2012 in Uncategorized. 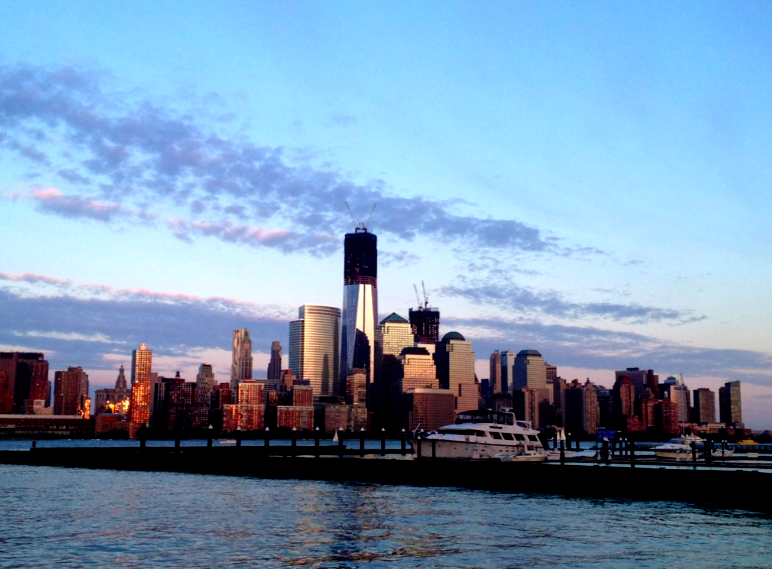 The view of the NYC skyline from Newport Harbor in Jersey. Honestly I can’t believe this day has actually arrived. I, April Payne, am going to try my hand at blogging. Not school blogging where I absolutely must write 500+ words about the digital divide, the biggest whiner of the ACC (cough, Kendall Marshall) or even what I believe is the newest social media trend. Instead I will be blogging about my summer as an intern in New York City, the bizarre adjustment to post-grad life and the peculiar metaphors I come up with to describe my daily situations. So why name my first legitimate blog something so absurd? Well if you haven’t noticed, I like my last name a lot. But also because I feel like this blog will talk about how for the first time in eight years I am living in the same city as my brother (who obviously shares my phenomenal last name), indulging in all the types of food New York has to offer and of course, the ups and downs in the months to come. And if I decide in the future to once again publicly express my thoughts on the dating world like I did in my Creightonian column, I guess I wouldn’t have to change the name of my blog. So if the eccentricity of this blog is something that might appeal to you, welcome! If you somehow stumbled upon this because you thought it was a dating service that hosted speed dating events at Dunkin’ Donuts, well hey you are still welcome! And if neither of the before mentioned apply to you, I hope you at least enjoyed the picture of New York’s skyline! This should be an amazing summer! Posted by apayne628 on June 2, 2012 in Uncategorized and tagged ACC, Dunkin' Donuts, Kendall Marshall, New York City, post grad.